After losing their jobs in Kerala, Dasan and Vijayan decide to migrate to the Middle East. But they end up in Tamil Nadu where they are mistaken as two CID officers by a group of smugglers. 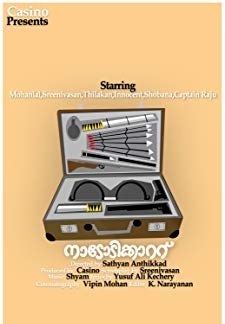 © 2018 Scratchu.com Nadodikkattu | Mohanlal, Sreenivasan, Thilakan, Shobana, Innocent Vareed Thekkethala, Janardanan, Captain Raju, Sankaradi, Mammukoya, Johny, Meena, Santha Devi, Bobby Kottarakkara, Seema, M.G. 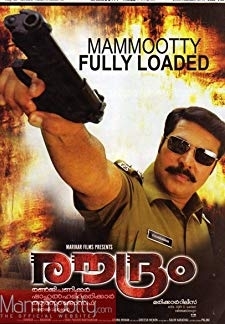 Soman - Nadodikkattu (1987) | Malayalam Movie | 8.8/10 | Synopsis : After losing their jobs in Kerala, Dasan and Vijayan decide to migrate to the Middle East. But they end up in Tamil Nadu where they are mistaken as two CID officers by a group of smugglers.... Watch Online!! !